When you think of Christmas, what is the first images that come to your mind? We think there is a high chance that you’d say wintry landscapes, Santa Claus, fairy lights and a Christmas tree! 😉 Never mind that it’ll never snow in Singapore, or that Santa Claus isn’t real – we still automatically associate these with Christmas and all the feelings the season brings. 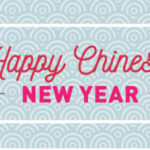 Christmas and the New Year is usually a season replete with emotion and meaning for people. It is also a time when people a looser with their purse strings, because of the tradition of gift-giving. 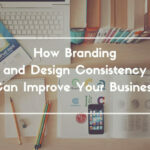 Knowing these, you’ll want to keep your business and brand in the hearts and minds of all those potential customers, who are feeling generous and want to spend their money. There are many ways you can ready yourself for the festive season. 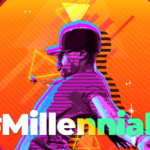 Coming up with festive-themed content for your blog and EDMs is one way, running festive campaigns on social media is another, and so is producing limited-edition festive collateral. Also, don’t forget to update your web images with festive editions of your brand logo: from web banners to social media profile and header photos, be thorough in updating your images! Whatever you do, there is one thing will tie everything together and mark your efforts as part of the cheer of the season: DESIGN. 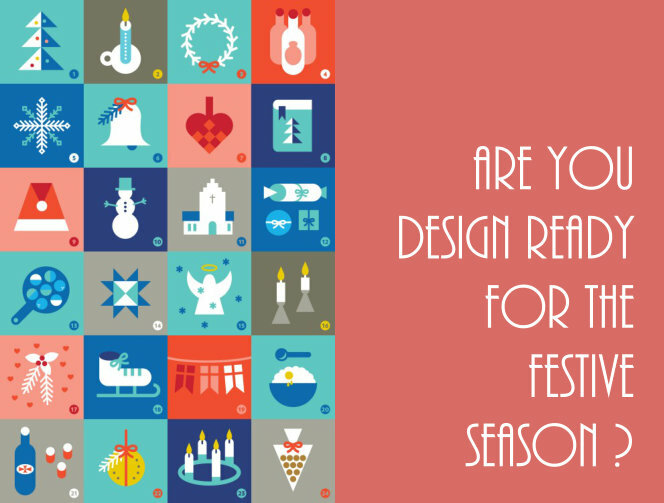 Here are 3 ways you can and should use design to herald in Christmas and New Year for your business’s success! The most common colour palette employed for Christmas design is red and green, for its association with Christmas trees, holly berries, mistletoe and Santa Claus. It is a nice classic colour scheme to employ on your business’s branding if you don’t want something that is tried-and-tested for success. Other colours you can use on your design to evoke the festive mood are gold, silver, blue and even violet. All these colours bring to mind the magical feeling of the season, while also making you feel warm and fuzzy inside. Incorporating a festive trope in your design can help your brand give off those cheery Christmas vibes! Just pick one, and go with it, don’t overkill and try to include too many different elements. 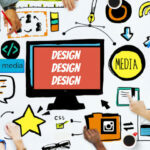 There’re lots of symbols you can use to achieve this in your design. There is a whole range of wintry tropes to play with, such as snowflakes, Christmas trees, mistletoe, holly, wreaths, reindeer, candy canes, stars and Santa Claus! Lastly, don’t underestimate the importance of appropriate and good copy in tying your whole design together. A simple and witty phrase is often enough to conjure the holiday mood if done right! Use this copy along with the festive images to spread the Christmas spirit to your customers. Some of our favourite ways to use copy in this manner is through a Christmas greeting, introducing timed festive offers, or on EDM content. Remember that the aim of your copy is to either evoke emotions of charity and warmth in the customer, or spark feelings of joy, hope and good cheer as the season calls for! Our designers know all these and lots more! Connect with us today to find out more about how you can maximise your brand’s visibility this Christmas season with the help of these seasonal tips and more! 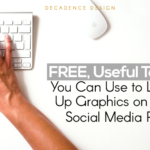 Useful Tools You Can Use to Level Up Graphics on Your Social Media Posts … and it is FREE! What I find so intterseing is you could never find this anywhere else.